The moon is in the fiery, creative sign of Leo now, and I've been working on next Saturday's webinar: Enlightened Parenting Through Astrology: Five Times Astrology Made me a Better Mom. I've never given a webinar. I've never taught a class. My parents are teachers and I'm astonished and awed by the impact they've had on so many people over decades. I think seeing the wisdom, charisma and passion they embodied kept me away from teaching. I didn't know if I could pull it off. I didn't want to try. My siblings are performers. Their presence is captivating. They're funny. They're deep. They're transformative. I love supporting them. But I'm terrified to join them. I work an office job every day in a room by myself, hidden by a humongous computer screen, usually eating. And yet I was asked by my dear, respected friend Tony Howard to give a class in the summit he created. And I said Yes, because I trust Tony's judgment in other people and I know Tony's high standards. And this topic is so dear to my heart. If I've put the hours and intention into anything in my life it's been into creating a family and learning and practicing astrology. But still, I'm scared. The New Moon in Cancer on July 12th has symbolically brought an opportunity to rebirth nurturing, creative, loving energies in us. But Pluto in Capricorn is opposite the sun and moon in that new moon chart. Fear, dread, shame and limits can overpower and stop us before we start. But what if we look at it differently? What if we see the times in our lives when the shy, protective, emotional shell of Cancer has been capable of stopping us before we even start? That's kind of where I was when Tony first approached me: No thank you, I'll watch the webinar from the comfort of home and someone else can present. In that case Pluto in Capricorn can be the helper -- drawing out what we're actually capable of. Plumbing the depths of who we've worked to become; letting that empower and transform us and those we encounter. This new moon/Pluto action happens for me in the 4th and 10th house axis of home and family and career and the broader world. I can choose to stay home and just practice these techniques by myself and with my child, with my family and friends and local clients, Thank you very much. But a powerful friend is giving me this opportunity to share the information with a broader audience. And as I prepare it I know the techniques can help people nurture and support their children, or their clients who are parents. I just have to overcome my shyness and fear to do it. Where does this new moon fall in your birth chart? Consider the Cancer solar and lunar themes positively and negatively. Let that inform your intentions for starts and renewals. And try to make a friend of Pluto. There's power inside and outside of you, an opportunity for creating and revealing something profound to yourself and others that you can do only when you realize you're already safe, loved and whole, and only when you can shed some of your ego and over-sensitivity. I hate saying that. Sensitive people bless and heal the world. So I hope you can see what I mean: We can get so lost in being sensitive that it cripples us or holds us from action, and that's where the Capricorn energy can help us. Leave something in this world that is born out of your sensitivity. Leave something tangible. Today's Leo moon can help inspire you. It's been a pleasure to create this webinar. Next Saturday, I'll be drawing on my experience of motherhood, inspired by my parents' ability to teach and my siblings' ability to take the stage. I hope you'll join me. 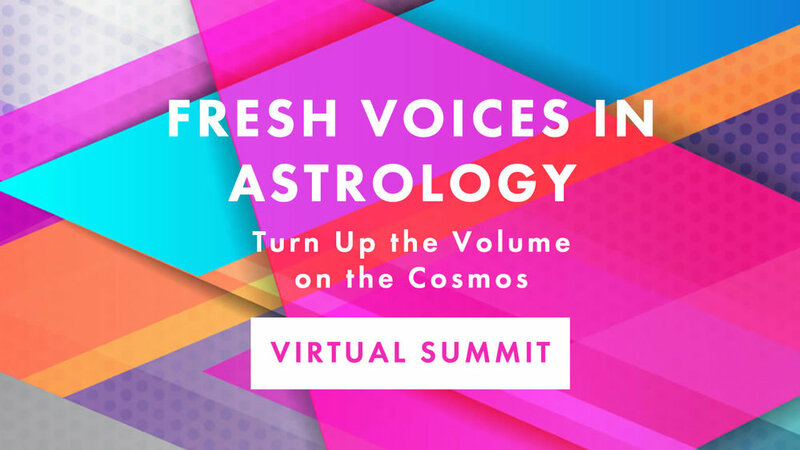 It's free, and from what I know of the other astrologers who are presenting, I'll be in outstanding company. Thank you, Tony, for the nudging at least one of us needed to bring this to light. Copyright Amy Alexandro Jones, 2019. All right reserved.